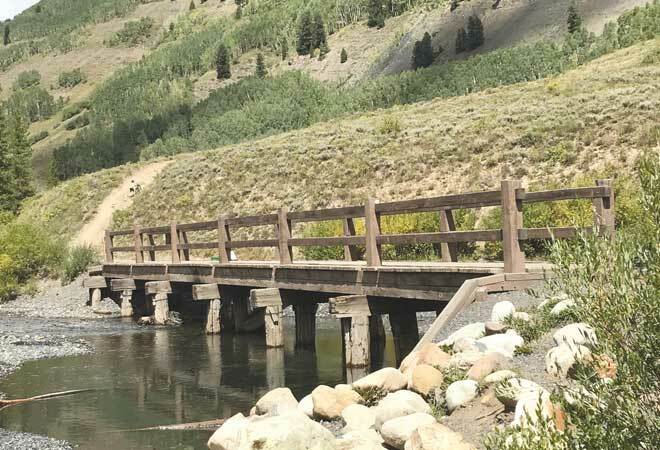 A major fall project to replace the Gunsight Bridge over the Slate River north of Crested Butte will begin the first week of September and will take about two months. 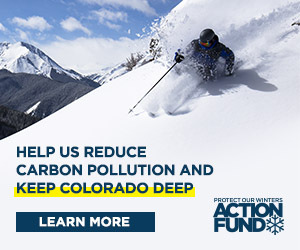 Overseen by the Crested Butte Land Trust, the $415,000 project will alleviate in-stream erosion and provide overall stabilization of the river channel. Peterson explained that the existing bridge will be deconstructed in phases. First, the railings will be taken off and the decking and piers left in place to serve as scaffolding for the new bridge construction. “Following the completion of the new bridge span, the current wooden bridge will be completely dismantled,” Peterson said. “The wooden piers that support the existing bridge will be removed at ground level. A small design-build pedestrian bridge company based in Ridgeway, Canyon Bridge LLC, will lead the construction work. The replacement comes after years of research when the land trust determined that the current bridge structure was affecting the river channel and surrounding wetlands. The wooden piers that support the bridge today catch natural and unnatural debris that find their way down the river, creating a dam and backup of water upstream. The land trust also learned that the existing bridge span across the river is too narrow, and constrains the channel, preventing the river from freely flowing across its natural floodplain. This results in the deterioration of the bridge structure and erosion of the riverbanks. To alleviate these stressors on the river, the new bridge will be 20 feet longer than the current structure, and is a full-span suspension bridge. This will allow the river to re-establish its natural flow, ensuring a healthy river and a safe crossing for the next generation to enjoy as much as the community does now. Peterson went on to explain that the new bridge would alleviate in-stream erosion and provide overall stabilization of the river channel. Peterson said the current and deteriorating bridge is supported by five sets of four piers each. The piers, aligned perpendicular with the bridge span and exposed to direct flow, act as a strainer for woody debris that frequently finds its way down the Slate River during peak flows. Access up Gunsight Pass Road past the bridge will be limited during the construction period. Hikers and bikers should be prepared to ford the river for the majority of the construction project. “If you are a user of Gunsight Bridge, we’re asking for your support to help reach our fundraising goal to complete this project,” added Peterson. She explained that by giving a gift toward the last $30,000 needed to complete the project, a generous donor will match your contribution, doubling your gift. The land trust is hosting a community site visit on Friday, September 7 at 4 p.m. to Gunsight Bridge for interested folks to learn more about the project process and timeline as well as hear about the new suspension bridge People are encouraged to carpool to the site.